The students sit up, stretch while wincing like newborn puppies. Awakening hurts. But alarms must be silenced so the students force themselves from bed and tip-toe out of bedrooms across veritable minefields littered with sleeping cats, mounds of laundry, backpacks that leaked pens and notebooks, bowls in which spoons are submerged beneath tepid cereal milk. When one of the students finally stumbles into his bathroom where his iPhone shrieks, he jabs his thumb at the phone’s screen, silencing the alarm. Class begins at eight and his walk to campus through the Cotton District takes twenty minutes, thirty if it’s humid and he slows his pace to stymie his sweat. There’s no time to fall back into bed so he slumbers to the kitchen, grinds then brews coffee. His neighbor’s dog hasn’t started its incessant barking and outside his kitchen window, the street lies abandoned. The empty morning amplifies each coffee drip. His Mr. Coffee beeps so he removes the carafe, tips a stream of coffee into a mug that has the phrases “Too Much Monday. Not Enough Coffee” scrawled in golden cursive across white ceramic. Nose buried beneath the mug’s brim. Steam rising like mist over a lake at dawn. He feels alone in the world and the coffee’s warmth allows him to forgive himself for having set an early alarm. Whereas it’s obvious Madison enjoyed her time spent at Refuge Coffee, her experiences there didn’t immediately spawn the idea of starting a coffee shop on wheels. It wasn’t until after she had transferred to State that she considered starting a mobile coffee shop. As a transfer student, Madison sought to involve herself. She joined eClub, a student organization that works alongside the E-Center to encourage entrepreneurship, and it was during an eClub meeting that the students were tasked with proposing a concept for a business. Madison recalls having to drive over forty-five minutes to find coffee that was better than anything in her hometown of Alberta, AL. These experiences of having had to travel for good coffee prompted her to propose to the eClub the idea for a company that would bring quality coffee to her and other caffeine junkies. Over the course of the following weeks, Madison and other eClub members refined her concept. She entertained the thought of starting the business—she’s always been business-minded and when she was in high school she dreamt of becoming a CEO—but it was Brandon Johns, the CFO of jitterbean’s, who walked into the E-Center and set up a meeting to pitch Madison’s idea of a mobile coffee shop. Madison admits that when Brandon told her about how he had signed up to pitch her idea that she “had no idea what he was talking about” because she had “never heard of the VentureCatalyst Program.” With only a few days to prepare for the Peer Review Entrepreneurship Panel (PREP), Brandon assured Madison that he would attend the meeting with her. Unfortunately, “he had to pick up a friend from the airport right when the pitch was ending.” Madison was left to present the business concept without Brandon. Prior to pitching to PREP, Madison realized that other companies—titans like Starbucks and holes-in-the-walls like Starkville’s Strange Brew— were already pouring no-frills coffee, but one aspect that Madison hoped would distinguish jitterbean’s was the environment in which patrons would get a caffeine fix. Madison knew jitterbean’s wouldn’t ape the environments of brick-and-mortar coffee shops like Starbucks or Dunkin’ Donuts or Einstein’s or any number of chic-yet-rustic local coffee shops where mustachioed hipsters sip gluten-free, soymilk lattes while playing chess and grooving to an endless Dave Matthews playlist, where the baristas charge $9 for a cappuccino because they’ve etched into the foam a silhouette of a leaf or a heart. 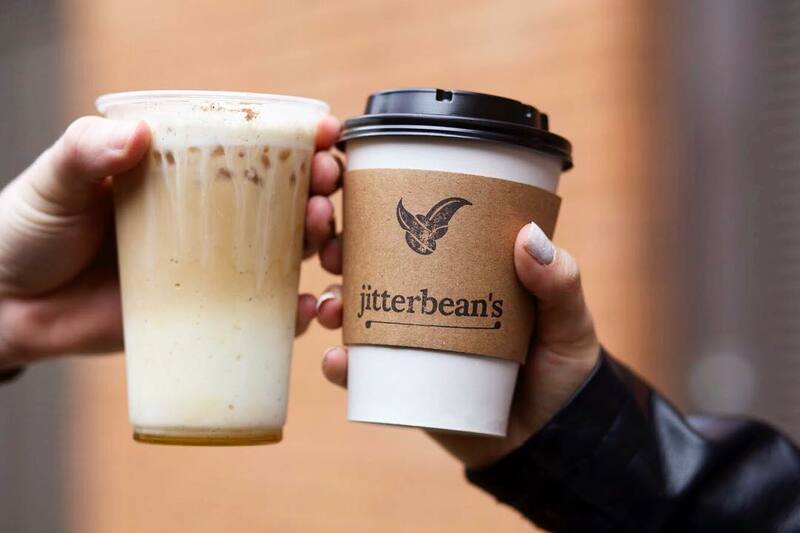 Madison just wanted jitterbean’s to deliver simple, wholesome coffee to its customers. 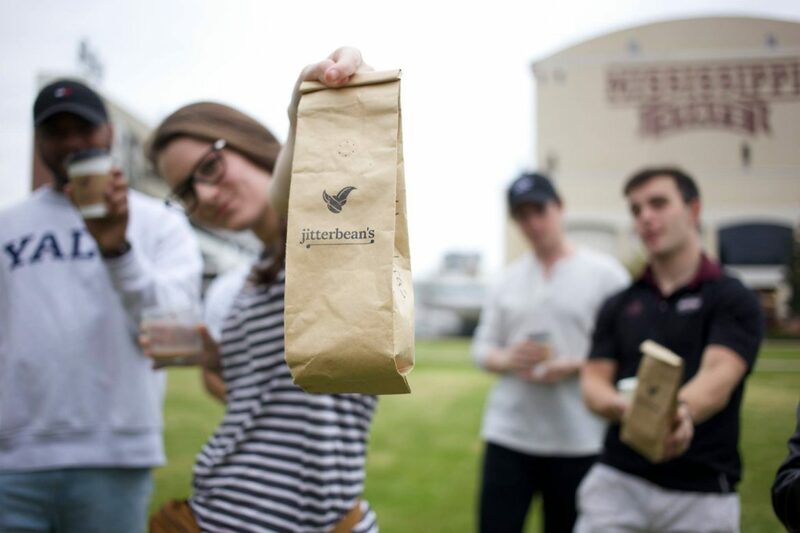 Pitching jitterbean’s as a roaming coffee service was enough to attain funding from the E-Center’s PREP board.  Unfortunately, mobility wasn’t enough to earn Madison and her team full funding from the next review panel, the Entrepreneurship Center Advisory Board (ECAB). She admits that prior to her first ECAB presentation she had felt ill-prepared and unsure about the company’s viability; she says she couldn’t stop asking herself, “Is this something [I shouldn’t] continue with?” Despite her doubts, Madison, “nervous as all get out,” pitched. She’s convinced that during this presentation she “served [the board] coffee that probably was not very good,” but it wasn’t Madison’s anxiety or the coffee that prevented ECAB from awarding jitterbean’s maximum funding. Dr. Charles Freeman, a member of the ECAB board and an Assistant Professor of Apparel, Textiles and Merchandising (and a big coffee fan), approached Madison after the presentation. Madison says Dr. Freeman told her that he liked the prospect of a mobile coffee shop, but he felt “the business model [was] way off.” He suggested that the company try roasting its own beans to cut costs. Wanting to earn full funding from ECAB, Madison implemented Dr. Freeman’s advice into jitterbean’s’ business model. Madison wasn’t going to squander a second opportunity to pitch her business to ECAB, so she and the jitterbean’s team started roasting their beans. When they began the process, the team ignored industry conventions. Sure, Madison and her crew started by purchasing raw beans from a wholesaler (not uncommon), but when the beans arrived the team didn’t even own a roaster. Although bean roasters won’t empty most bank accounts—low-end, non-commercial models are available for less than $50—jitterbean’s was in its embryonic stage, and Madison didn’t want to blow through the company’s PREP and ECAB funds. The team gathered at Madison’s house. The quality of this first roast, born from the atypical process of whisking shriveled, unroasted beans in a 15-inch cast-iron skillet heated by a grill, still surprises Madison: “They were actually really good!” Madison and her team continued to roast beans, all the while learning to produce roast varieties ranging from blonde to French. A few weeks after the initial ECAB presentation, Madison met with the ECAB board and told the members about her company’s goal to demystify the brewing process: Madison brought the beans she and her team had roasted and, using a high-end siphon, made coffee. Impressed with Madison’s revised business plan and the improved product, ECAB fully funded jitterbean’s. Madison continues to roast beans for jitterbean’s, and she’s upgraded from a cast-iron skillet heated by a grill to a conventional bean roaster. She finds that roasting beans saves the business money, and controlling the coffee brewing process from start to finish provides the company with an additional means of luring coffee lovers from their favorite baristas; modern consumers are acutely aware of what they put into their bodies, so why not make the transparent brewing process an integral component of the jitterbean’s brand? It’s obvious that other student entrepreneurs impress and motivate Madison, but her peers would be wise to experience a moment of solace with a mug of jitterbean’s coffee—especially on mornings when the alarm clock sounded too early. Learn more about jitterbean’s coffee on their website at https://www.jitterbeanscoffee.com.